Photo. Steve. Potwin. Used by permission. Story: Xavier Lannes, Photo Steve Potwin. Like every year for some time now, Board-Trac released a couple of days ago their annual survey and the demographic study of skateboarding. The full survey is worth several hundred dollars, but Board-Trac usually also release some headlines for free. And this time they found that while 17% of the 9 million+ skateboarders in the U.S. are over the age of 25, 8% are between the ages of 25 and 34; 6.9% are 35 to 44 and almost 2% over 45. This seems like old news to much of us since we have figured out a long time ago that you don’t stop skateboarding because you got old but you got old because you stopped skateboarding. Just go to any park in Southern California and you will see a myriad of Old School skateboarders, most of them in full protection gear, among the new kids in the block, usually in jeans and T-Shirts. In the past years, we have even seen the return of much of our brothers which are enjoying a second birth thanks to skateboarding. Those born-again skateboarders are among the 7% over 35 years old to go to the skateparks several times per month. OK, so it goes counter clock to some marketing studies out there that are targeting skateboarders as kids in their late teen and treat them as brainless and penniless consumers. According to TWS, many in the industry see the aging demographics of surf, skate, and snow aficionados not only as a major problem but especially as a serious liability for growth and sustainability. Duh? Actually, it is no secret that action sports’ appeal (surfing, snowboarding and skateboarding) has increasingly skewed towards old and older over the years as the first, second and now third generations that grew up with the sports and defined their lives around them, continue to age. The aging skateboarder segment is actually great news for manufacturers and resellers alike. While kids have no purchasing power because they rely on reluctant parents to buy their stuff, skaters over 35 (7% of all skateboarders) are generally well established in life. They usually work (hum, sometimes double shift), have a car to move around, a health insurance to cover the inevitable ‘slip-and-fall” and not only they have more money to spend but are willing to spend more for the things that they like or that make sense to them. 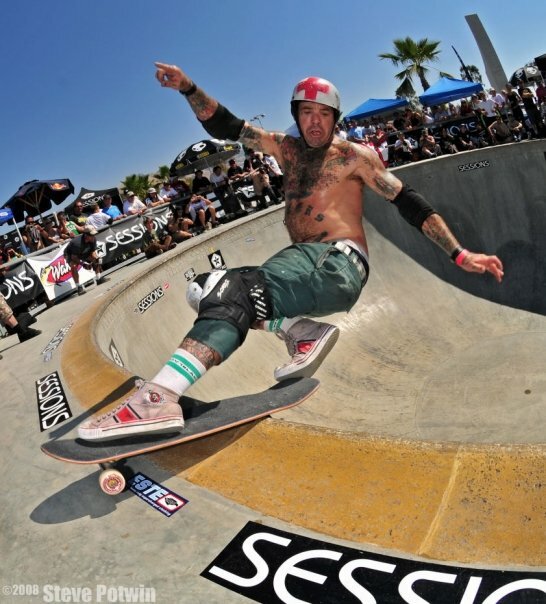 So is the aging of skateboarders a good thing? You bet it is!